I’ll get to the first item in a bit. For the second, some history first. My mother was then six years into a severe depressive episode, and things were rough at home, even though I was living miles away in Hopkins. It was a difficult time for the Family Project. 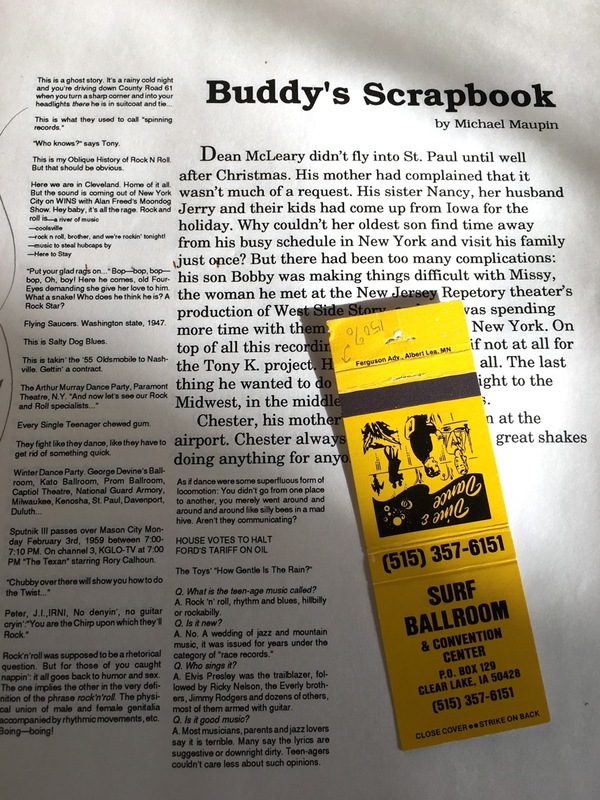 Perhaps Buddy’s Scrapbook was a reminder that, as troubling as things could get, a good story might whisk me away to a better place. At least that’s what I hoped for. Dean was a troublemaker, clearly. So, I now wonder, what is the connection between Dean McLeary and Matt J. Durand? In 1971, Mrs. Andrea Schussler, the music teacher at Shirley Hills Elementary School, turned us on to “American Pie.” But I’d already beat her to it via late-night FM radio. 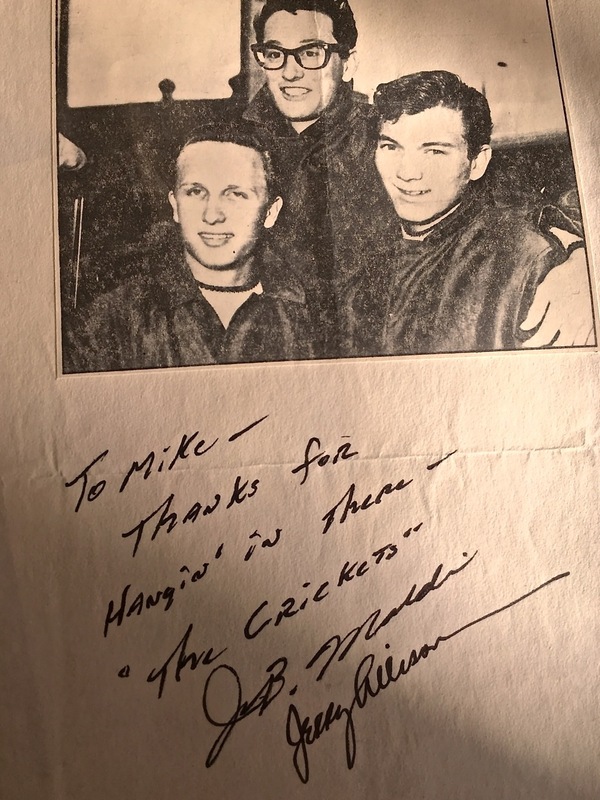 She wanted us to discover the meaning behind Don McLean’s lyrics, but I had my own ideas, even as a preteen. I’d first heard “Vincent (Starry, Starry Night),” since it formed the basis of my “Nightwalking” mode of thinking. Lyrically, Don McLean ladled it on, and I ate it up. It didn’t take a sixth-grade music teacher to sell me cool. So Matt J. Durand, of course, is part of me. His “Model of a Binary Universe Set to Music” almost presages the Internet—like someone happily Googling random stuff for the sheer fun of it. And like Durand, I wanted to be a cultural bomb-thrower. Dean McLeary, by 1975, seemed too safe. Matt J. Durand, less Boomer and more Xer, was proto-punk. I wanted writing to deliver more than words. I wanted fire-in-the-blood stuff, rock and roll with a flaming typewriter. I wanted a story to be as electrifying as Jimi Hendrix onstage. And I also wanted something I could stuff in a knapsack for later down the road. Four days later I took the shot glass to an engraver. I had “the message ‘Toast to Buddy—J.I. 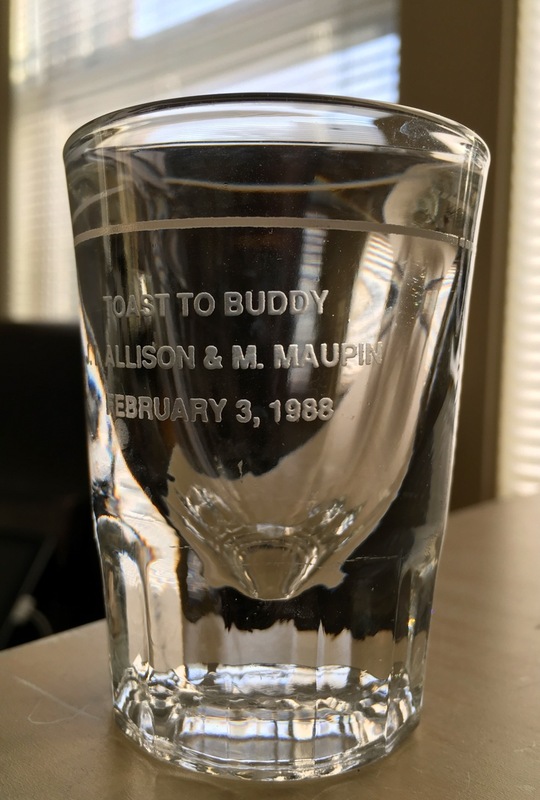 Allison & M. Maupin February 3, 1988’ engraved on it as a keepsake,” (pictured below right). The “ghost story” behind all this is probably how a musical icon like Buddy Holly produced a “cultural after-image” that remains burned in the American consciousness. In the end I don’t feel too bad about not finishing the story. It was the journey that mattered to me—and still does. I’m always pleased when friends make toasts from it. And it’s a keepsake I hope to hand down as joyfully as Buddy’s music did for his friends. ~ by completelyinthedark on March 31, 2017.